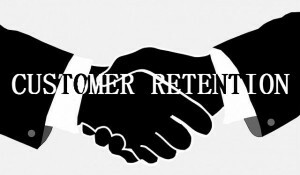 Customer retention is a common issue that many businesses face. This high churn rate is why you’re working 14 hour days, not making as much money as you should be, and why you’re not applying HSF to your business! There are several key factors that contribute to your customers jumping ship. Understanding the psychology behind why they’re leaving you for somebody else can go a long ways to keeping your clients happy and on board. Be clear and concise in your communication with customers. It’s likely that you have been hired because you possess skills and expertise that your customer does not, which means you are going to have to communicate to their level of understanding. Good results are paramount for any customer, but without being able to deliver any meaningful insights into these results, your customers may feel as though you are gambling with their business – and no business owner wants their livelihood on the poker table. Customers that feel uninvolved in the process become frustrated. If your customers don’t understand the value you bring to their business, how can you expect them to keep paying you? As Chief marketing Consultant a E-Web Marketing I try to be organised, communicate my plans, set expectations, and explain what, how, and why i’m doing what i’m doing – after all, my clients are paying me for it. It’s only fair that my customers get a good understanding of why they’re paying for a service and how it benefits them. There is nothing that will turn a loyal customer off faster than you giving them a feeling of irrelevance. Your customers need to know that they mean a lot to you. This goes across all forms of communication, including how they interact with your brand. Personalisation builds relevancy, and illustrates how your products/services apply to each individual customer or company. Engagement defines the success of your relevancy – the more a user engages with your business, the more relevant your value proposition has been to them. Appreciate your current customers. Specials, unique content, posts, or just a friendly phone call helps show your appreciation. Respond to their requests: Let your customers know you have received their request, and update them throughout the process. Be Proactive: Being proactive is better than asking for forgiveness. If you need to miss that deadline by 1 day to ensure quality, let your customers know when and why. Anticipating problems and providing active service goes a long way to create raving fans of your business. Explain your processes: Customers may make assumptions as to how you do your work, and they can be wrong – explaining your processes, why it works the way it does helps keep them on track, and how it benefits them will help build trust and loyalty. Make Customised Offers: We all want to make more money, and that often involves upselling or upgrading current customers. Your attempts to upsell need to be relevant. Creating customised offers show your customers that you understand their pain points and their business; which will also improve your conversion rate. Customers leave you for a reason. No matter what you do, sometimes a customer may not be a good match. Customer satisfaction does not always correlate with retention. Price, service, value are a few examples of reasons customers leave – but they may also leave due to how you make them feel, or just simply by who they are. The way you market your company may impact your churn rate. Do you utilise aggressive marketing, convincing customers to leave your competitors? The type of customers open to solicitation are typically less brand loyal. Target people based on their behaviour, and on a meaningful, specific moment in time. Customer satisfaction data can help you understand attrition, but it is not the sole reason customers leave. Keep alternative types of data, such as how you acquired this customer, their personality types, what services/products your provide them with etc. This will give you a much better indication of how and why you’re losing customers. It will also help you tailor your future marketing efforts to get you the exact types of customers that you want.